This is a new banknote introduced in Malawi to the existing circulating banknotes. It will be the highest denomination banknote in country. The note is in UNC Condition. 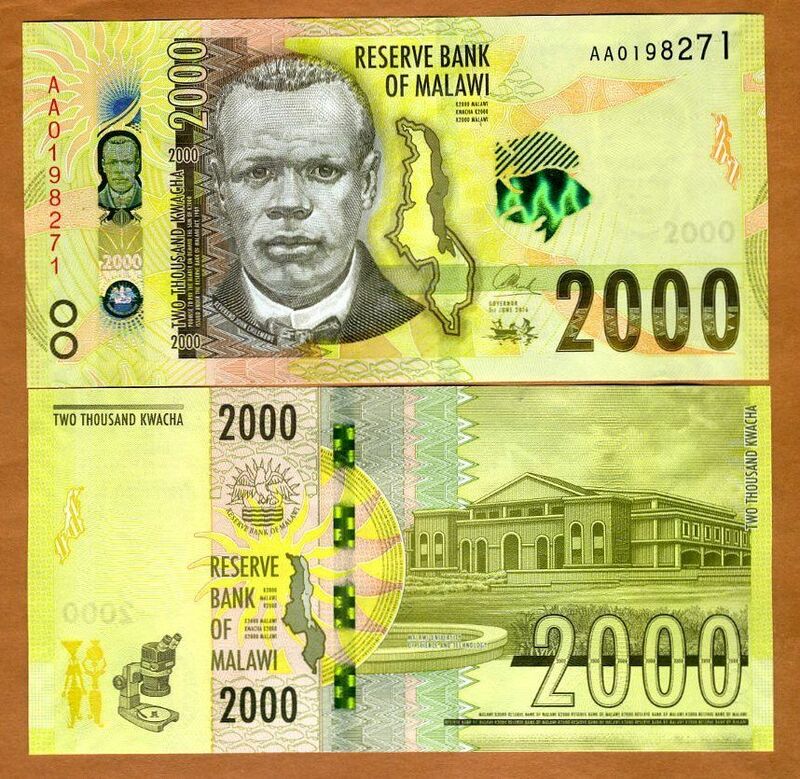 The complete set of Malawi banknotes will now be seven denominations. 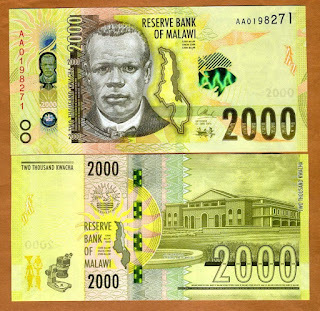 Due to economic crisis and devaluation of the Malawian kwacha, the Reserve Bank of Malawi (RMB) introduce the K2000 note.